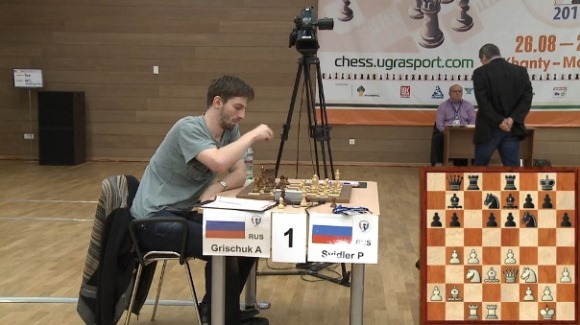 Grischuk started the day facing the daunting task of beating Svidler with the black pieces to force tiebreaks. Grischuk explained that he thought he had a win: 15…Nc5 16.e5 dxe5 17.Nxe5 Nxb3 but eventually realised that White turns the tables: 18.Rxd8 Rxd8 19.Bxe7 Nxc1 20.Bxf6 Nxe2+ 21.Nxe2 gxf6 22.Qg3+ Kh8 23.Ng6+, winning the black queen. That wasn’t, however, the moment that will live in the memory of those who were watching the video from Khanty-Mansiysk with Russian commentary. 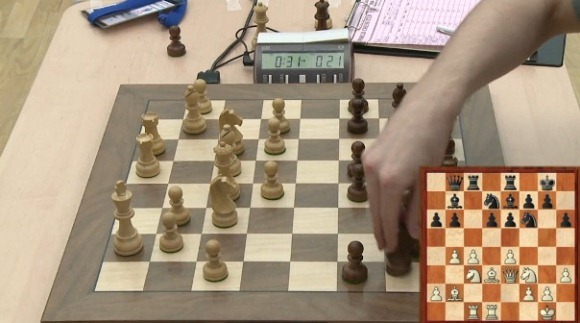 That came after Svidler’s 18.Bd3. Sergey Shipov, whose literary magnum opus is a two-volume book called “The Complete Hedgehog”, quickly realised that the standard 18…d5 break was now playable. 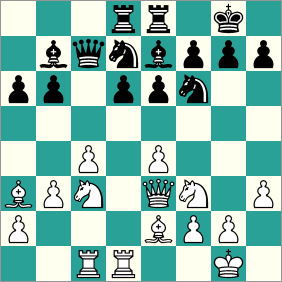 I haven’t got the slightest doubt Grischuk’s calculating 18…d5. But at some point here Sasha has to believe in himself. As a not bad Hedgehog player myself I know that at some point you need to look at the positional factors – it’s impossible to calculate all the variations. You just have to realise that the break is positionally justified and that in the huge tree of variations you should be able to find something. …d5! 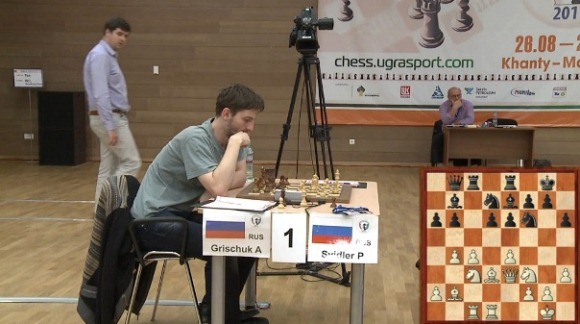 Come on, Sasha – let’s watch Grischuk’s right hand – he’s got the desire to do it, you can see it – it’s starting. Come on, Sasha – he understands all this perfectly. Look at the fingers, the fingers are starting to work. Come on, Sasha. At the end of the day there’ll be enough problems to come in life and if you don’t do it now you might not forgive yourself later. 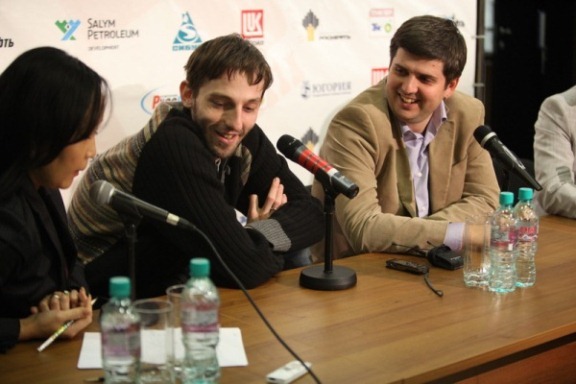 Valery Yoshan mentioned at this point that at the press conference Grischuk would explain in two languages why he hadn’t played the move. 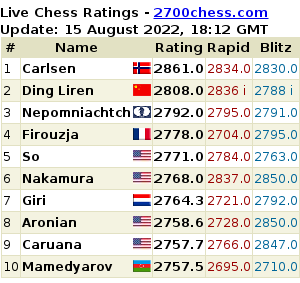 Shipov later added that “the Gods of the Hedgehog had punished Grischuk for his crime”. In the press conference Grischuk (speaking in Russian) got to 18…Nh7 and said, “Sergey Shipov won’t approve of that move”. 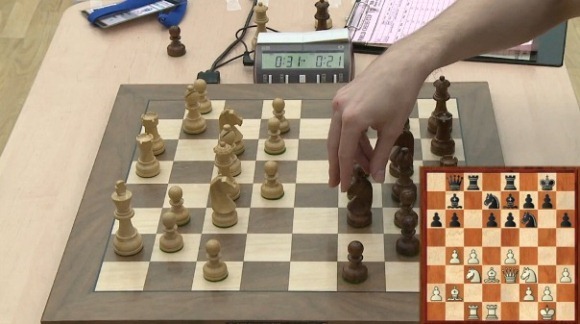 Oddly, though, it seems Grischuk wasn’t expecting criticism because of the unplayed 18…d5. When that option was pointed out to him he said he’d just assumed 18…d5 19.e5 and then stopped considering it. So much for the 10-minute think! 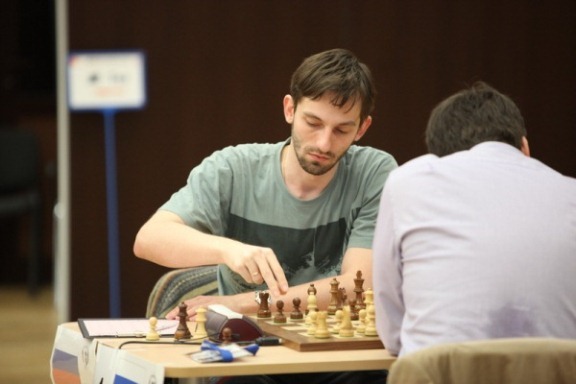 In English Grischuk called 18…Nh7 “a quite ridiculous move”. There was a postscript, however, as Peter Svidler was visibly troubled and even checked his scoresheet. It was very hard to hear the exchange that followed, but it seems he’d been planning 18…d5 19.cxd5 Bxb4 20.dxe6 Rxe6 21.Nd4 – i.e. 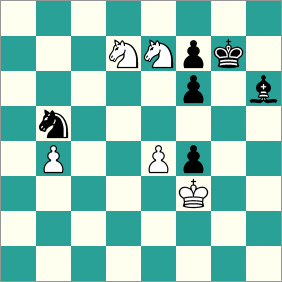 the computer’s line, and was happy with White’s position. 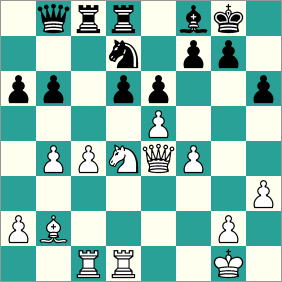 Actually, there was no real disagreement with Shipov, as the commentator had also noted that it wasn’t that 18…d5 was a clearly winning move, but just that it was the move that was crying out to be made and the one that gave Black the best chances. Here he played 26.Nxe6! 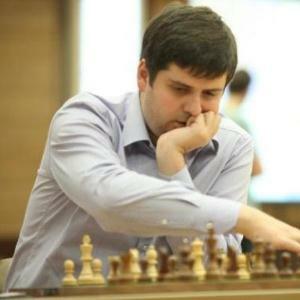 The advantage appeared to be a winning one, but ultimately Svidler was happy to play a solid line that led to a draw and confirmed his World Cup win. Here 50.Kg4? allowed 50…f3!, and the bishop was able to take the crucial b4-pawn (via d2). 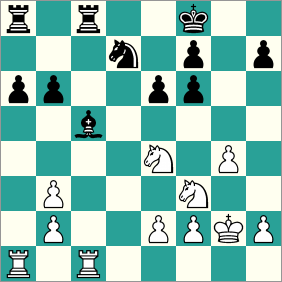 50.Nf5+ would have kept the fight going, though the position may well still be drawn. Play continued until move 66, when Ruslan’s last pawn disappeared from the board. 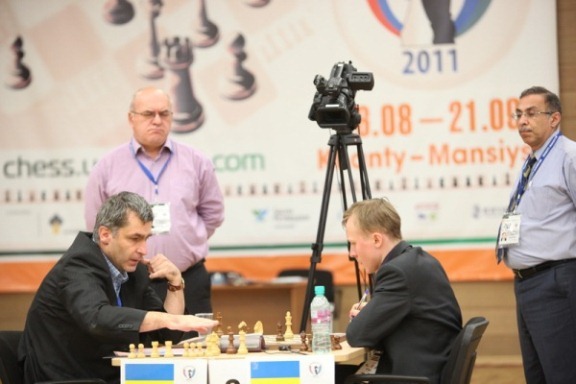 Ivanchuk was tired but happy in the final press conference, graciously conceding that his opponent had been very close, and admitting that he felt the position in the game was objectively lost. We’ll soon see Ivanchuk again at the Grand Slam Final, where he competes against Anand, Carlsen, Aronian, Nakamura and Vallejo. 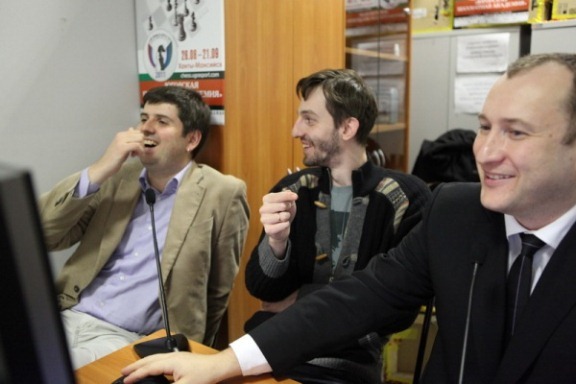 Svidler, Grischuk and Ponomariov are all expected to play in the European Club Cup which starts on Sunday, 25 September. “Absolutely no rest for the wicked”, as the World Cup winner put it.